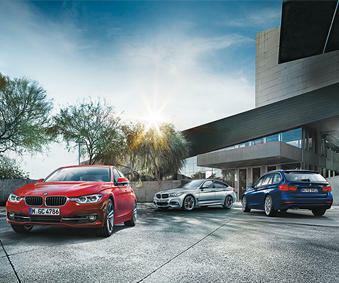 Looking for a pre-owned car in Waterdown has never been easier when you choose Budds’ BMW Oakville. There are a couple of ways that you can find a pre-owned car in Waterdown from our dealership and they involve coming in to see us! Or visiting our website. Our selection of certified pre-owned cars is very large and we are very confident that you will be able to find the car of your dreams with us. If you choose to come into our dealership at Budds’ BMW Oakville, we are located on the South Service Road in Oakville, which is easily accessible from the QEW at Bronte Road. However, if you choose to search for a pre-owned car in Waterdown from your home, then our website is also a great option for you! Continue reading this page to find some pre-owned cars that we have in stock at Budds’ BMW Oakville; maybe one of the following vehicles will spark your interest! INTEREST RATES AS LOW AS 2.9%. Stunning Space Grey on Black Premium Package & Executive Package AWD X3 35i with great features! Well equipped with Rear-View Camera with Top View, Comfort Access, Comfort Access, Panorama Sunroof, Sirius XM Radio, Lumbar Support, Automatic Trunk and much more. WONT LAST. Come in today to meet with our friendly and knowledgeable sales staff to go on your ultimate BMW test drive experience in the car of your dreams. LOW KMS. Beautiful and Luxurious Alpine White on Black w/ Red Highlight 320i with Sport Line. Well equipped Heated Seats, Heated Steering Wheel, Glass Sunroof, Through Loading System, 18 Alloy Wheels and much more! WONT LAST. Come in today to meet with our friendly and knowledgeable sales staff to go on your ultimate BMW test drive experience. Sporty, Powerful, and Very Comfortable, Premium Package, AWD M235 Coupe that comes in a Beautiful Estoril Blue Exterior combined with a Black Dakota Lthr Interior. Well equipped with On-Board Navigation, Rear View Camera, Park Distance Control, Comfort Access, Internet and much more! WONT LAST LONG. Come in today to meet with our friendly and knowledgeable sales staff to go on your ultimate BMW test drive experience in the BMW of your dreams. LOW KMS. Beautiful and Luxurious Jet Black on a Gorgeous Fox Red Ext Novillo Lthr & Carbon Black Leather Trim, 6-SPEED MANUAL M3 CABRIOLET with MDrive Package and Executive Package. Very well equipped with BMW On-Board Navigation, Park Distance Control, Voice Recognition, BMW TeleServices, Exterior Mirror Package, and much more! WONT LAST LONG. Come in today to meet with our friendly and knowledgeable sales staff to go on your ultimate BMW test drive experience. For more information about how to find a pre-owned car in Waterdown at Budds’ BMW Oakville, please feel free to continue browsing through our website. Also, check out our service team, parts department, and other services that we offer at Budds’ BMW Oakville. For other interesting content, please check out our blog page as well. We can be reached at (905)845-3577 or by filling out our contact form.